Century Building Materials has been in the Long Island region for more than 50 years. We have the supplies you need to complete your project and make it look perfect. You won’t just see items in a catalog when you come to our showroom, we’ll have them in stock. Whether you’re a do-it-yourself homeowner or a professional contractor, our highly trained sales staff will assist you in finding the right product. 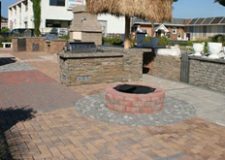 We’re a leading supplier for all of your building needs, and unlike the chain stores, we can show you what the job will look like when it’s finished at our outdoor display center. Contractors often bring homeowners to the center to see how our products look, why not come see for yourself? Century Building Materials is proud to carry Nicolock products and be Long Island’s exclusive distributor of Dryvit Energy Efficient Exteriors. We have been serving contractors and do-it-yourselfers alike from Queens to Montauk since 1951! Come visit. From floor to rooftop and everything in between, we have the building materials you need! 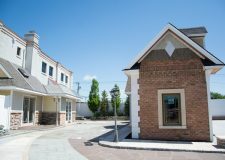 Custom brick and stone masonry in a variety of styles available to suit the needs of your home, office, or personal taste. 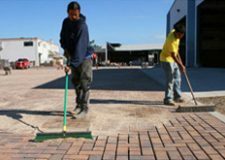 Environmentally conscious and energy efficient products including permeable pavers, energy saving windows, and treated lumber. 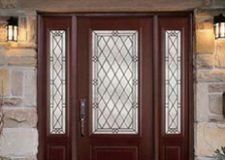 Doors can enhance the curb appeal of a home, add character to an office, and create wonderful first impressions. 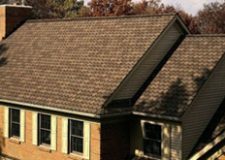 Enhance your exteriors with updated roof and siding projects that look great and are designed to withstand the elements. 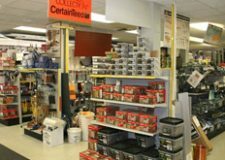 From Wellcraft Window Escape systems and power tools to ladders and caulk, Century Building Materials has got you covered.